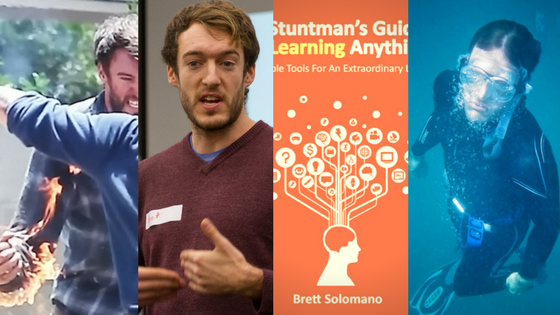 Why Not Get Brett at One of Your Events and hear what its like to be a STUNTMAN ? This is to express our warmest thanks to Brett Solomano, who visited our Story To Screen class in the Advanced Diploma of Professional Screenwriting at RMIT, and gave a superb presentation regarding his career as a professional stunt performer, and the life lessons he drew from it." Unique – Ever met a stuntman before? Anecdotal – A stunt story? What to know what it’s like to be on the edge of your seat for real?! Simple – I hate jargon and won’t use it. Engaging – It’s much more fun and memorable when your audience is listening and learning with their bodies! Practical – I don’t just want you to hear my awesomeness I want your audience to be as well! I always give them something to think about, take away and use in their daily life. "I invited him to speak at a school where I worked called Academy of Design where he delivered a highly regarded and well received talk on procrastination and creativity habits to my students. From having my own students I know that connecting with young people is not easy and Brett has a beautiful balance of connection and leadership to be able to connect with and also lead young people in the way that he does." Hassle-free – You ask me for what you want, I make it happen. Simple. Prompt – I hate that feeling of running around and booking things at the last minute too! Impactful – How do you measure the value of a speaker? By the effect, they leave on the audience! Corporate staff – "The Busyness of Business" - On workplace communication and team dynamics. 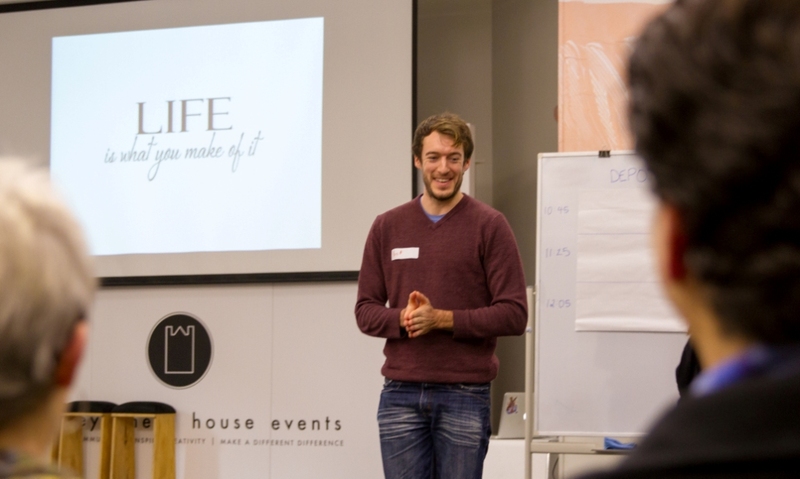 Entrepreneurs – "Finding the Flow Within the Hustle" - On creativity, pitching and work flow. Teens – "Developing Your Super Hero Powers" - On empathy, self-awareness, and communication. Disadvantaged Youth – "The Stillness of Chaos" - Using sports to teach "Active Meditation"
Open ended – I don't tell you the lesson I want you to have. I just give you the experiences and the questions to give you your own "aha moments". Experiential – Let's be honest, you can't learn anything without actually doing it! There are no answers except the ones you come up with. Unique – I promise I will flip every one of your switches and push every one of your buttons so you can see what makes you tick. Note: you may have to face your fears, meditate or play with Lego to make it happen. "Brett is now making regular appearances at Laneway Learning and we are always happy to have him back! His classes are very inspiring, often funny, always down to earth and a good reminder of how capable and amazing we all can be! He always has fresh content and his passion for sharing engages students and inspires them to improve." "Brett is a master facilitator, weaving his personality into the customised packages he designs for organizations large and small to achieve their business goals. Brett realises it isn't about the powerpoint presentations. He is purposeful about how and where he takes his audience in a workroom space. At Zomato, he presented to a group of 8, a workshop on team dynamics and helped each one of us identify our own patterns in interpersonal workplace communication. Connecting, convincing and even changing people and ideas are integral to any organization, and Brett opened us up to a world of possibilities in order to make that happen. Brett also provided us with tools to measure our effectiveness through our ability to reach others through the spoken and written word. He was able to make the content completely interactive, rather than forcing us to follow his lead. Additionally, he did a great job of filtering the content to suit a range of audiences ranging from graduate trainees to senior management. He also created practice and feedback paradigms that the team could use on an ongoing basis. It was interesting to observe the changes in communication across the team in the aftermath of Brett's workshop. The communication between the personnel became more mindful in the months to follow, in terms of the multiple strands of structure, content and delivery." "Recently Brett came down to Hub Melbourne and delivered one of [his] game changing and highly experiential training programs to get members of the Hub thinking outside the box and challenging where they are at. Creative, intuitive and empowering are compliments that have been received about the event he ran..."
"It was both an honour and a privilege to be working with such a strong and dedicated young man on our camps for young people late last year."